Wayne County Prosecutor Kym Worthy, Rick Wershe’s nemesis who has fought tenaciously to keep him in prison until he dies, has been singled out among U.S. prosecutors in a new report by the Harvard Law School for being an ‘Extreme Outlier’ on sentencing juveniles to prison for life. An outlier is someone who differs from everyone else in his or her group. Worthy’s latest disgraceful distinction is the result of cases decided long after Wershe was sent to prison, but it tells us something about the woman who decides who goes to prison in Wayne County, Michigan, and the woman who has done all she can to prevent Wershe from getting a parole. What is it about Kym Worthy? Why is she such a hateful, vindictive prosecutor? She has a real problem and the voters of Wayne County need to wake up to it. The Harvard University Law School came out with a report last week that won’t be read by most Wayne County voters but should be. The Harvard Law School, arguably the best in the nation, has a program called The Fair Punishment Project. "...we work to highlight the gross injustices resulting from prosecutorial misconduct, ineffective defense lawyering, and racial bias, and to highlight the unconstitutional use of excessive punishment," the project's Web site states. The 16-page Harvard Law School report released this past week is entitled: “Juvenile Life Without Parole in Wayne County: Time to Join the Growing National Consensus?” The Harvard Law School report tells us “Wayne County is responsible for the highest number of juvenile life without parole sentences in the country.” To read the report Click Here. Gee. Nice to know Wayne County ranks first in the nation in something. There are 2,400 county prosecutors and district attorneys in the United States. Most of them are white and male. According to one study only one percent of the nation’s prosecutors are minority women. So it tells us something when the nation’s top law school singles out Kym Worthy, a black woman, for criticism. They didn’t “pick on” her because she’s black. They didn’t “pick on” her because she’s a woman. They “picked on” her because of her extremely harsh policies which run counter to national trends in crime and punishment. To be clear, this law school report isn’t about Rick Wershe’s case. He was sentenced to life in prison as a juvenile under a previous prosecutor. He has, theoretically, a chance at parole. In real terms the Michigan Parole Board keeps “flopping” him in rubber-stamp fashion every five years, so in reality he’s serving a life sentence five years at a time. Wershe’s case and the current juvenile lifers controversy are two separate matters—except for one thing. His case, where Worthy is fighting with all she’s got to keep him in prison even though he’s never been charged with a violent crime, and these other cases clearly demonstrate Kym Worthy is not interested in justice, in fairness, in rehabilitation, in second chances. She’s all about punishment. Period. As you may know, Michigan’s prosecutors have been battling recently under pressure from the courts to take a second look at life sentences for juvenile offenders. There’s a national trend toward second-looks for juvenile lifers, as they are known, because a kid who commits a murder or other major felony at 15 is not the same person who is now in prison at age 30 or 40 or 50. People change. Prisoners (many of them, anyway) change. Alas, prosecutors like Kym Worthy don’t change. Worthy, along with other prosecutors, was forced to look at Wayne County’s 145 juvenile lifer cases and reluctantly agreed to a second look in about two-thirds of them. She intends to fight to keep a third of them in prison for life. Harvard’s Fair Punishment Project was less than impressed. 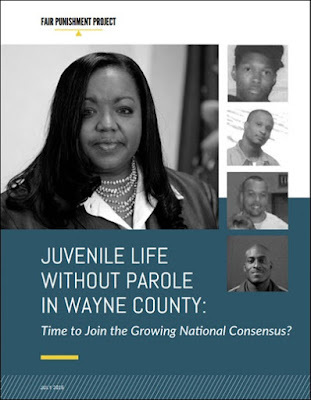 "(Prosecutor) Worthy’s decision to again seek life without parole for one out of three individuals who were convicted as juveniles is completely out of line with the Supreme Court’s ruling, mounting scientific research, the practices of prosecutors across the country, and years of experience that have shown us that youth are capable of change and deserve an opportunity to earn their release,” said Rob Smith of the Fair Punishment Project. "Detractors characterize her as overly aggressive, arrogant and unnecessarily sarcastic. (Then) Recorder's Court Chief Judge Dalton Roberson described her style as 'unlikable.'" Worthy’s response? “My style, it equals my personality,” she told the Free Press reporter. Charming. 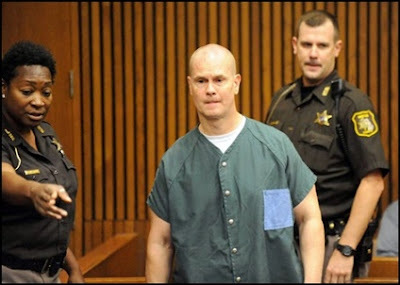 One of the key arguments in favor or granting Rick Wershe parole is that he is now an adult and a totally different person than the cocky teen who was sent to prison for life for slinging dope in Detroit. Officials at Oaks Correctional Facility where Wershe is incarcerated describe him as a near-model prisoner who is admired by other inmates and the staff alike. That means nothing to Kym Worthy. In 1991, at the sentencing for John Charles Albert, who was convicted of murder in a case prosecuted by Kym Worthy, defense attorney Sheldon Halpern tried to argue for leniency. Halpern told the judge Albert had been a model prisoner who set an example for others incarcerated with him at the Wayne County jail. Worthy was having none of it. "I'd ask that he be sentenced to a substantial term, so he can further have a positive effect on his fellow inmates," she told the judge. Prosecutors are elected politicians. They win elections by promising to be tough on crime, to be fierce advocates of “law and order.” Words like "fair" and "just" seldom clutter their campaign literature. Like rogue cops, it doesn’t take long for many like Kym Worthy to ignore the “law” part of law and order. They come to view themselves as hellfire and brimstone dispensers of punishment. That seems to describe Kym Worthy. 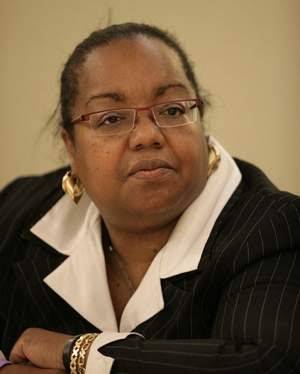 Will the stinging rebuke from the Harvard Law School shame Kym Worthy in to remembering that her office is in the Frank Murphy Hall of Justice, not the Frank Murphy Hall of Punishment? Not likely. Only the voters of Wayne County can do that. The remedy for Kym Worthy’s attitude is to vote her out of office in the next election.